PAULINE BAKES THE CAKE! 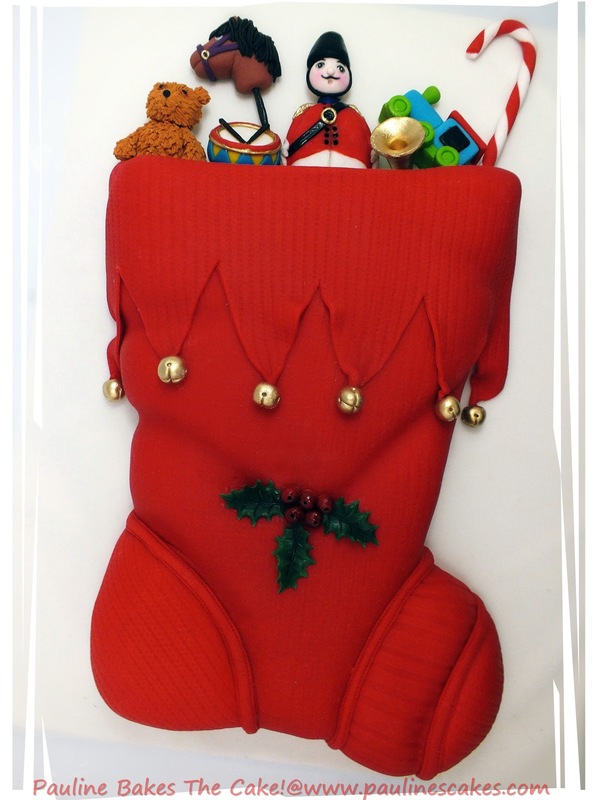 : Santa's Stocking Cake For Christmas 2012! Blessed Christmas and the Happiest of Holidays to all, near and far! May the New Year 2013 bring you an abundance of Joy and New Beginnings! Made this Christmas stocking cake, brimming with old-fashioned toys for my family's annual Christmas dinner tonight. Cake flavor is my best seller Moist Chocolate. Inspiration and design for this cake was from the "Santa's Stocking" cake featured in The Essential Guide To Cake Decorating published by Murdoch Books. 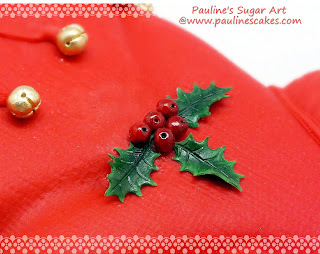 Christmas stocking cake for my family's Christmas 2012 dinner! Old-fashioned toys and candy cane for that nostalgic feel of Christmases gone by! 2D & 3D sugar art figurines. Holly leaves and berries add to the festive Christmas mood! Edible sugar art fruit and foliage. Golden bells, hear them jingle! Fondant bells hand painted with edible 24K gold.